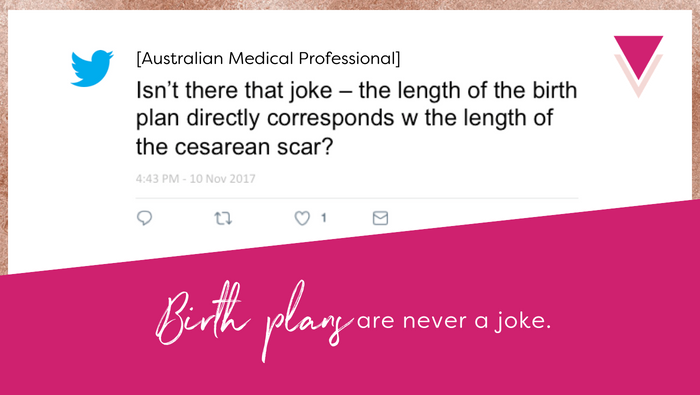 In the last week or so, I’ve seen a couple of long threads on social media begun by medical professionals making fun of birth plans… which is actually making fun of women with birth plans. What comes up for me when I see this is bile in my throat. Yeah, I know that’s gross. ​But this mockery leaves me *almost* speechless​. What is a birth plan? It’s a list of decisions and hopes about your birth. It is a written representation of how a woman has chosen to and hopes to have her baby, how she wants to be treated and how she wants her baby to be treated. The birth plan represents something universal–the human right to decide how to give birth–and something very personal at the same time–her decisions and hopes about a birth she and her baby will only experience once in a lifetime, for which there is no do-over. One thing I think we often miss in this discussion, when we refer to birth plans as “preferences,” is that birth plans come from a place of trying to get better, safer care than what is routinely offered. Birth plans say “I would like to move around freely during birth” because women are often inhumanely restricted in labor, sometimes even physically restrained; we say “No episiotomy! Let me tear, please” because the majority of episiotomies are done on women who have not consented to being cut; we say, “If baby is healthy, please allow immediate skin-to-skin” because we and our babies are routinely traumatized by being separated from each other at birth. I have a visceral response to women’s birth plans being mocked, and at the bottom of that, for me, is a sense of bone-deep betrayal of women (and birthing people). It is putting all your hopes and dreams and *your medical decisions* in the hands of someone who is meant to care for you, and watching that person crumple it all up and throw it in the trash. It is being unavoidably vulnerable and having someone use that vulnerability against you… while you’re naked and in pain, during one of the most emotionally and physically important times of your whole life. Let’s not mistake this: it’s not only about a smirking behind the back; it translates to the care that is delivered. A nurse who is prejudiced against a person with a birth plan is NOT delivering the same care as a nurse who loves taking care of a person with a birth plan. Period. There is an added layer of trauma to being betrayed by someone who is in a profession and a position of power where they are meant to care, comfort, protect, nurture, and support. It is also misogynistic. I can’t say this enough. Choosing to laugh at the birth plan of a woman in your care is a decision to wield power over her body, and not in support of her, but in opposition to her. Just. Because. You. Can. It’s one of those things that I have a hard time explaining because it seems so self-evident. Yes, there is something misogynistic in wielding power over a vulnerable woman in a way you would never do if she were standing on her own two feet outside of the hospital. Here’s the other reason it’s misogynistic: Only in Labor & Delivery is it even remotely acceptable to MAKE FUN of patients in this way. Can you imagine cancer doctors on a Twitter thread mocking patients for their whole-foods diets? Or cardiology nurses taking bets on which patients are going to fail at maintaining heart-healthy exercise routines? Dentists joking about how their patients flinch at oral injections? Sure, that *might* happen behind *some* closed doors, but it’s not the kind of thing you’ll see people chortling about in writing, in public, with their names attached. Nope, only in maternity care would a medical professional find it acceptable to write openly on social media that a patient of theirs has a “ticket to the OR” because she had the nerve to write down her informed decisions about her care. I see medical professionals complain: “Women don’t trust us.” “They come in defensive.” “I’m sick of the fear-mongering.” “This is painting everyone with the same brush!” Yes. When you betray someone at their most vulnerable, they lose trust and they become afraid and defensive. That is exactly what happens and you can expect it. Maybe someday we won’t need birth plans because women won’t have to worry about being treated like troublemakers for having opinions about their own bodies. And, lest anyone call this “experience over outcome,” maybe someday we won’t need birth plans because women won’t have to be afraid that standard hospital care means 20-years-outdated, inhumane, unsafe practices. Until that time, just like in every other area of life, where there is a deep and systemic problem, do this: Be transparent. Acknowledge the harm–even when it’s not yours. Make change. Every one of those steps is critical! *That* is how trust is rebuilt. 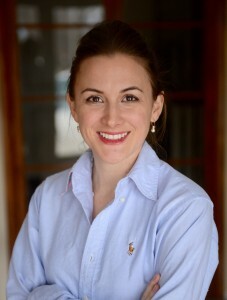 A former communications strategist at a top public affairs firm in Baltimore, Maryland, Cristen Pascucci is the founder of Birth Monopoly, host of Birth Allowed Radio, co-creator of the Exposing the Silence Project, and, from 2012 to 2016, vice president of the national consumer advocacy organization Improving Birth. 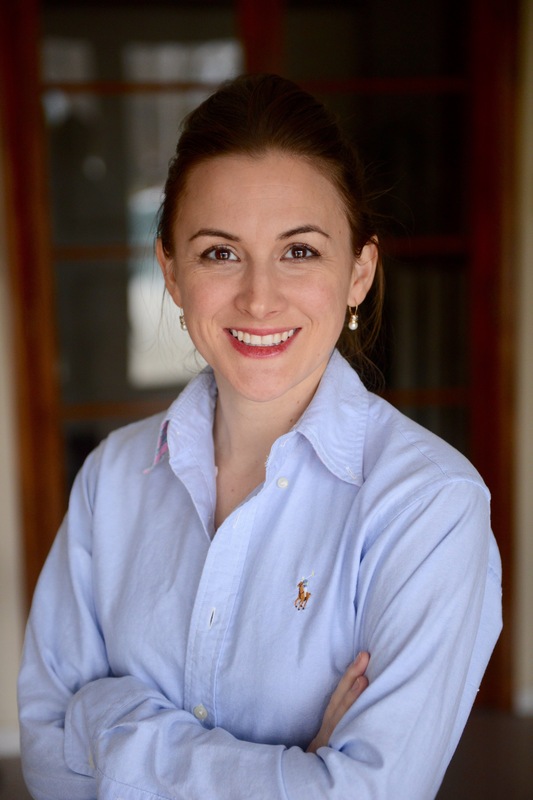 In that time, she has run an emergency hotline for women facing threats to their legal rights in childbirth, created a viral consumer campaign to “Break the Silence” on trauma and abuse in childbirth, and helped put obstetric violence and the maternity care crisis in national media. Today, she is a leading voice for women giving birth, speaking around the country and consulting privately for consumers and professionals on issues related to birth rights and options. Thank you for this important article. I am currently pregnant with my first child and I fear of going to a hospital, I have nightmares. I hope so many women demand midwives that it disrupts the entire industry so that doctors and nurses can’t get away with this any longer. Thank you for spreading this knowledge.